Welcome to our newest Steering Committee member, Ben Clinton-Baker. Ben is a member of the Municipal Heritage Committee and offers great expertise to our committee. Thanks to Helen Johnson and Ralph Archibald, who have retired as members of the Steering Committee, for their greatly appreciated contributions. We wish them well as they continue to be involved in the community and as members of FOUP. We welcome new members who may be interested in being on our Steering Committee. 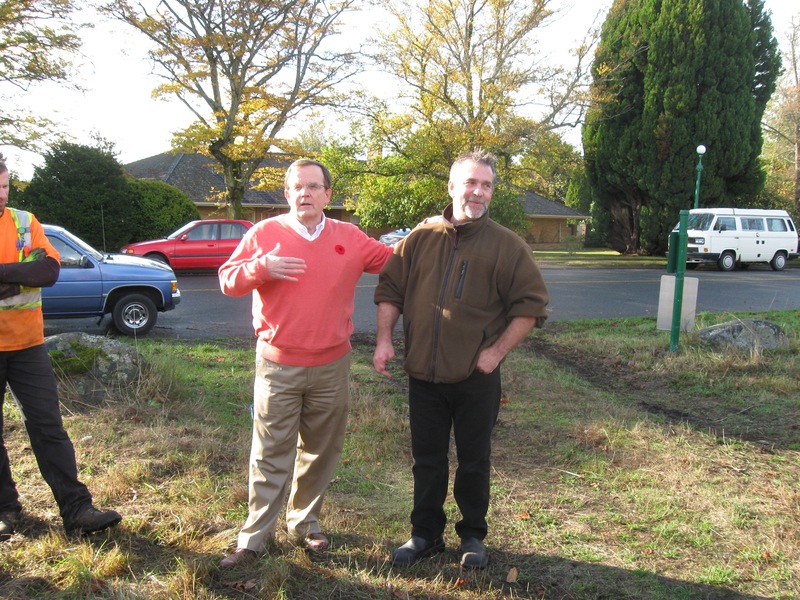 Thanks to the financial donation of the Rotary Club of Oak Bay, two bicycle racks are now installed at two entrances to Uplands Park. The Kiosk Project members are having a Visionary Session on Thursday December 27 at 12:30 pm to 2 pm. If you would like to participate please phone Margaret at 250-595-8084. 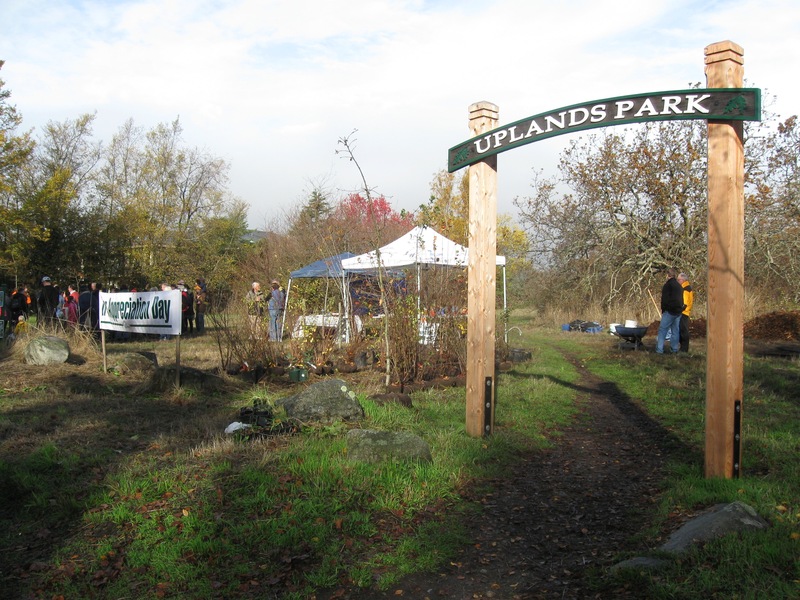 The federal Habitat Stewardship Fund has finally given money to Oak Bay Parks for Restoration projects in Uplands Park. 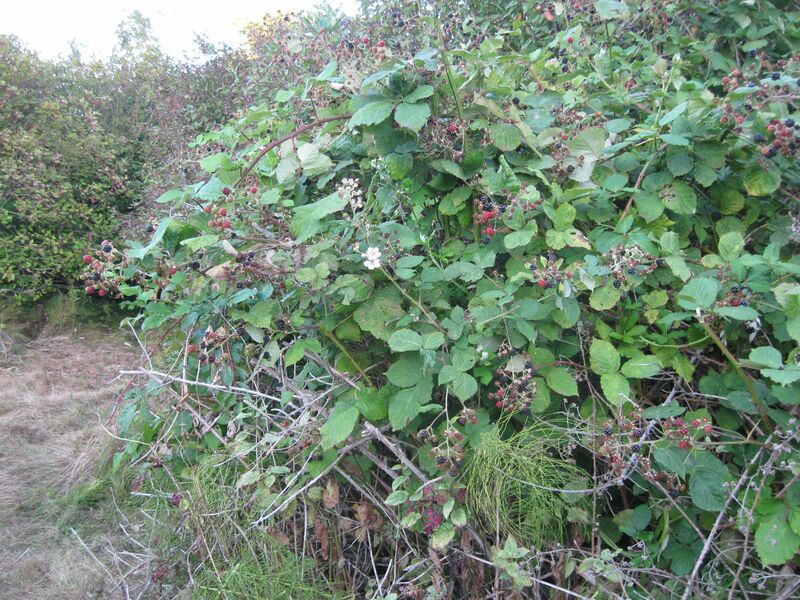 This Fund is only available because we have so many volunteers working in Uplands Park removing invasive plants. THANK YOU TO ALL WHO HAVE PARTICIPATED! 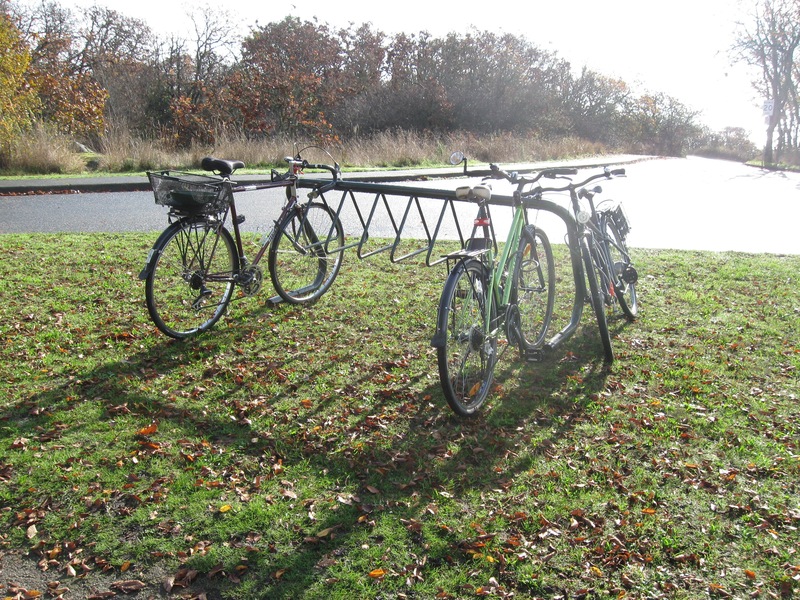 The Friends of Uplands Park is so pleased to welcome bike racks, newly installed at two of the entrances to Uplands Park. 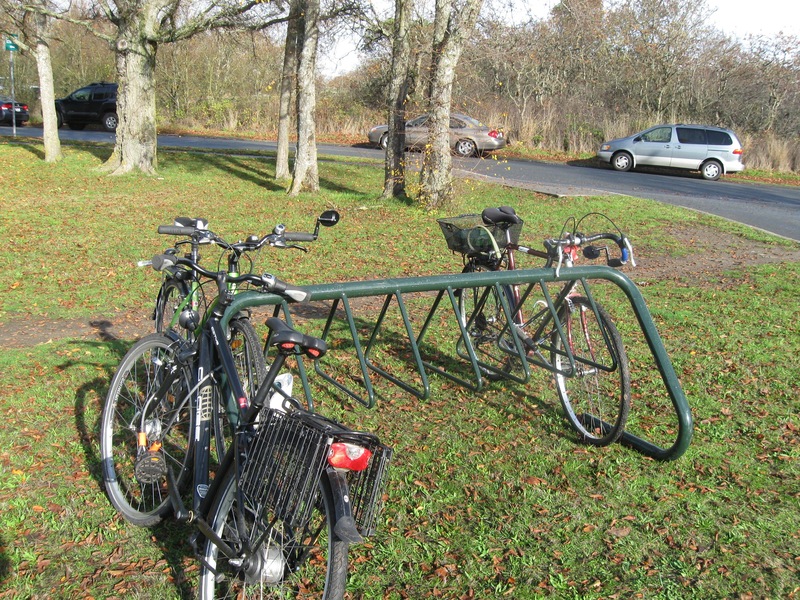 One set of racks (pictured below) is located on the grassy area beside the parking lot at the entrance to Cattle Point, across from the new Uplands Park sign. 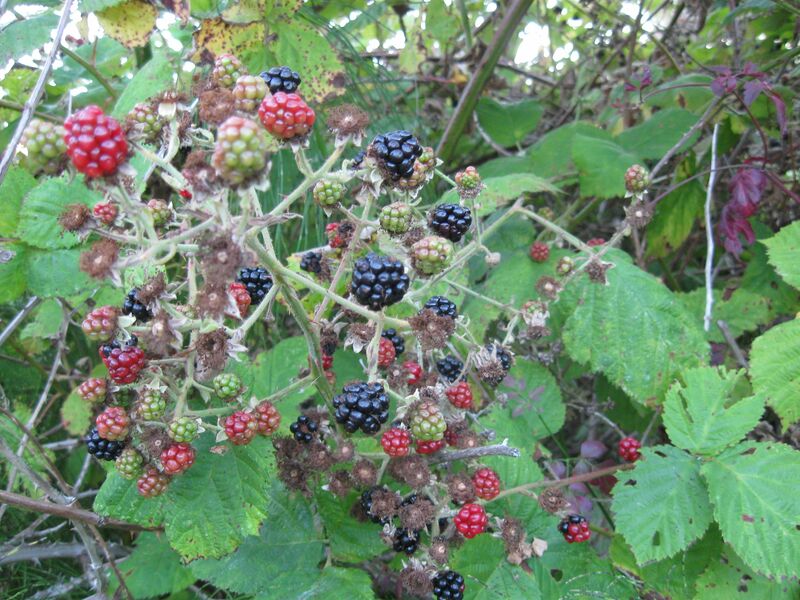 The other set is located at one of the entrances along Dorset. These bike racks have been generously funded by Oak Bay Rotary. They were installed by Oak Bay Parks staff in time for the November 4, 2012 Tree Appreciation Day, an annual event organized by Oak Bay Parks, and, this year, held at Uplands Park. Mayor Jensen was on hand to acknowledge the importance of these new bike racks and encouraged folks to enjoy a bike ride to Uplands Park, but to walk through the Park. 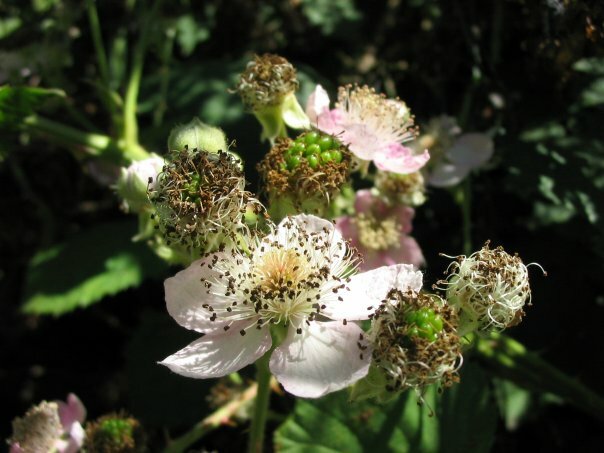 Bike riding through Uplands Park, is not allowed, because biking, even along the trails, causes extensive damage to the many rare plants in Uplands Park.